The perfect gift to give to your bridesmaids on your special day! This Cubic Zirconia jewelry is medium weight with dainty stones surrounding the tear drop pave crystal. The stones are set with prongs (not glue! ), therefore you can rest assure you'll get the best quality for the most affordable price. The matching teardrop pendant necklace is easy to wear and tops all the whole look. Photos do not do it justice, you will be more than happy with your purchase! Up the elegance of any ensemble instantly when you wear these stunning dangle earrings. 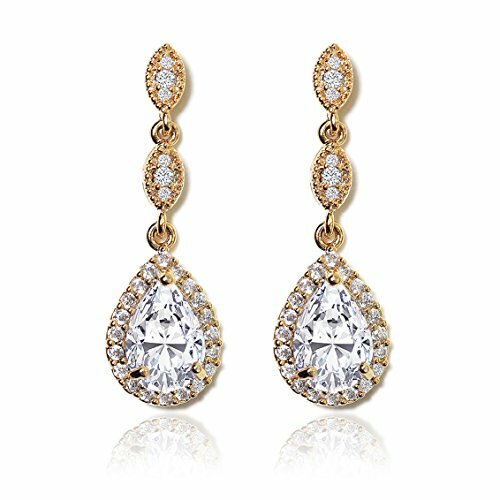 Dripping with pear, round, marquise-cut Cubic Zirconia Grade AAAAA stones, these decadent earrings are sure to delight. Earrings are medium weight, perfect to wear for a night-out with no irritation. The length is just the right size to wear with a pendant necklace- without over doing it! The perfect gift to give to your bridesmaids on your special day! This Cubic Zirconia jewelry set is medium weight with dainty stones surrounding the center pave crystal. The stones are set with prongs (not glue! ), therefore you can rest assure you'll get the best quality for the most affordable price. Photos do not do it justice, you will be more than happy with your purchase! 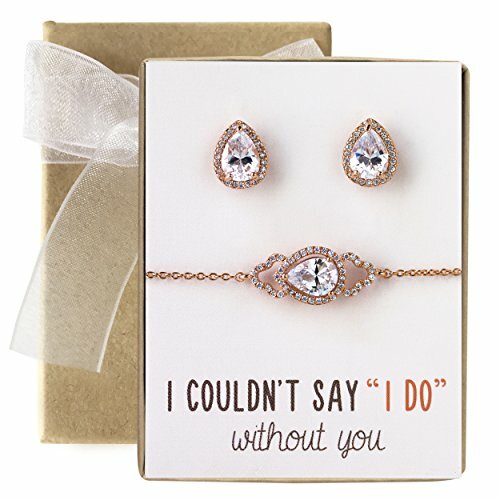 Bridesmaid jewelry gift Cubic Zirconia Bracelet and Earring Set. 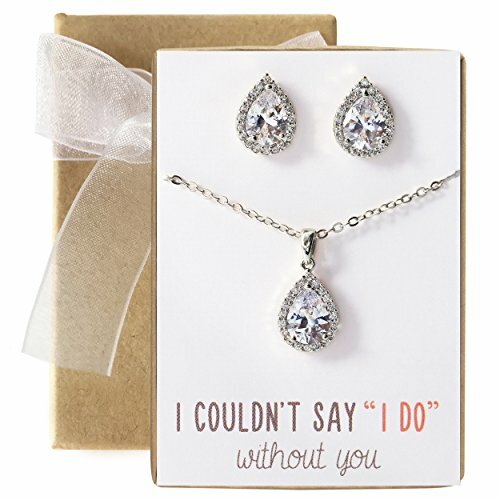 The perfect gift to thank your bridesmaids or bridal party for being a part of your wedding day! They will not only be impressed by how stunning the quality of the set is, but will also love it's gift packaging. Proudly made in U.S.A. With proper care, will not tarnish! Up the elegance of any ensemble instantly when you wear these stunning dangle earrings. Delicate and dainty with a noticeable drop to see from afar. The length is just the right size to wear with a pendant necklace- without over doing it! 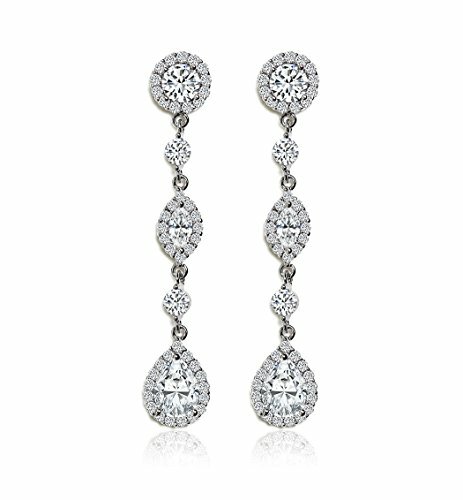 With a sparkly Cubic Zirconia Grade AAAAA Teardrop shape and surrounding delicate crystals, these decadent earrings are sure to delight. Earrings are medium weight, perfect to wear for a night-out with no irritation. The perfect gift to give to your mom on your special day! This Cubic Zirconia jewelry is medium weight with dainty stones surrounding the tear drop pave crystal. The stones are set with prongs (not glue! ), therefore you can rest assure you'll get the best quality for the most affordable price. Photos do not do it justice, you will be more than happy with your purchase! 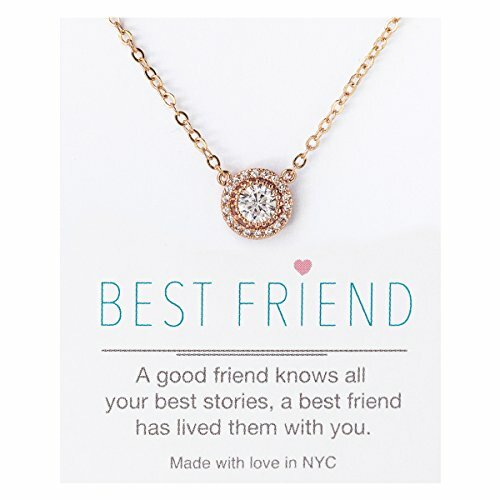 The perfect gift to give to your best friends! They will not only be impressed by how stunning the quality of the set is, but will also love it's gift packaging. Stones are set with pave prong settings, not glue! 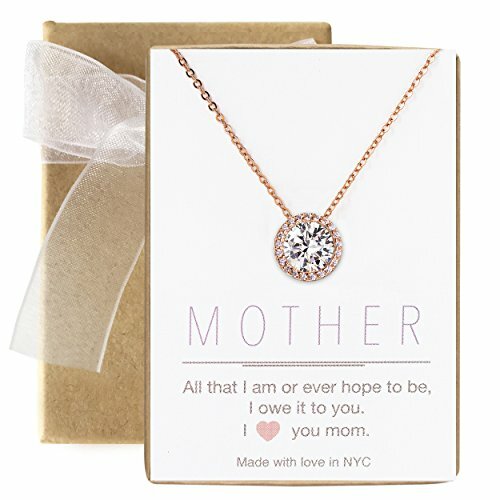 Great for you to wear as a staple everyday necklace.Therefore you can rest assure you'll get the best quality for the most affordable price. 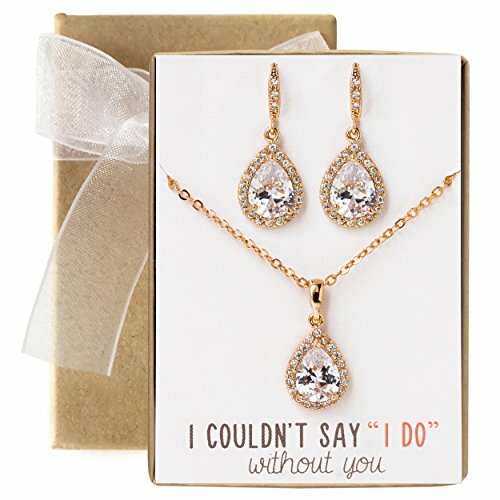 The perfect gift to thank your bridesmaids or bridal party for being a part of your wedding day! They will not only be impressed by how stunning the quality of the set is, but will also love it's gift packaging.Stones are set with pave prong settings, not glue! Therefore you can rest assure you'll get the best quality for the most affordable price. 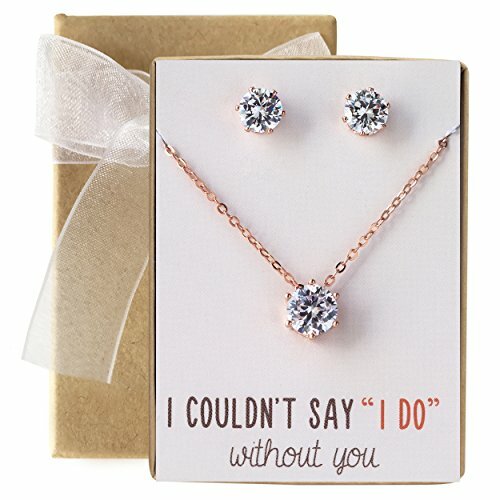 Compare prices on Amy Jewelry at Shopsimal.com – use promo codes and coupons for best offers and deals. We work hard to get you amazing deals and collect all avail hot offers online and represent it in one place for the customers. Now our visitors can leverage benefits of big brands and heavy discounts available for that day and for famous brands.